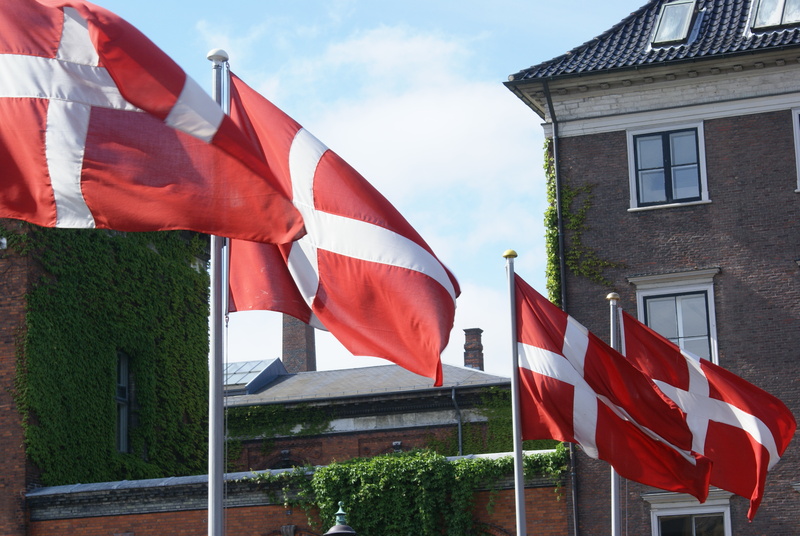 Have you noticed the way the Danes used their national flag? Probably the most noticeable is the used of the flag on the front of the buses to mark some celebration or other from a royal birthday to a public holiday. Some months it feels as if the buses are having a permanent celebration. The flag also takes a big part in any celebration but most of all birthdays. The front door of the celebrating apartment or building will have a couple of paper flags stuck to it. Inside there is flag bunting and little flags on the cake and food. On my son’s birthday meal in Sticks and Sushi, the waitresses improvised and made little flags for his dessert. If you say it is a birthday celebration in a restaurant they will often bring a wooden flag to put on your table. Celebrations in the park will have the picnic perimeter marked out by more flags pushed into the grass. The one use of the flag that really makes me emotional is the universal practice of waiting for arriving friends and family at the airport waving the flag (bought at WHSmith on the way in or from home for the occasion). Sometimes you can hardly see people coming through for the flapping of flags. All these flags from bunting, tablecloths to napkins and bigger flags can be bought very cheaply in supermarkets, Tiger and Søstrene Grene or you can go for a mini luxury flag pole from Georg Jensen to grace you table. The flag flies outside many buildings, tourist sites and at summer houses and Kolonihaver. 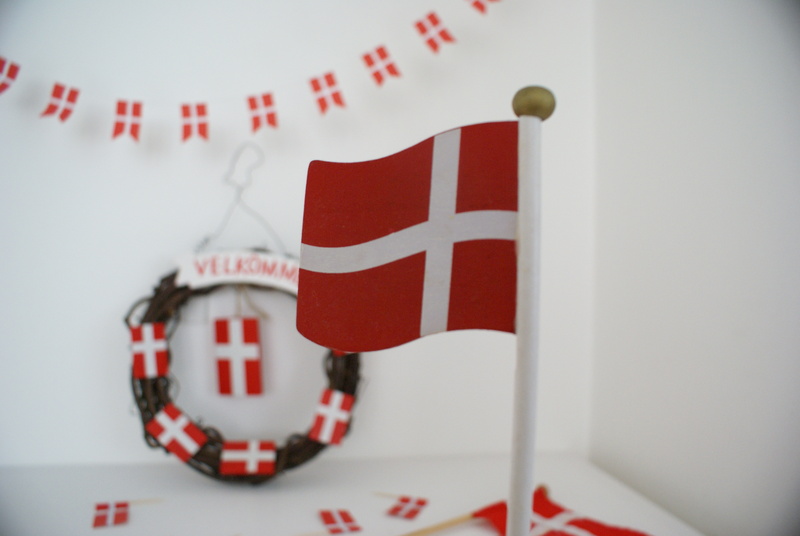 In many countries flying your national flag can be seen as xenophobic and jingoistic but in Denmark, for now, it is a sign of celebration and community.